Contrition through confession and recognition by leaders of the Catholic Church might be considered the first step of healing for a congregation being forced to grapple with another clergy abuse scandal, according to one diocesan clergy member. Perhaps in what is the most alarming scandal to date, a report recently released by a Pennsylvania grand jury named more than 300 priests who allegedly abused minors and identified more than 1,000 victims. 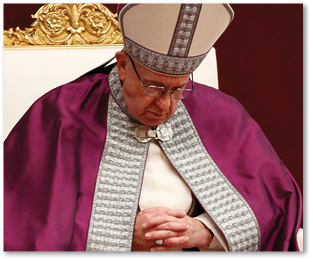 Catholics worldwide have voiced confusion, disappointment and even anger. Father Hallford, who was ordained in 2017, said one of the crucial components of the healing process is to rebuild trust in the institution of the church. He said this can be accomplished through church leaders showing humility, being able to acknowledge mistakes of the past, showing an earnest and real effort to show how past mistakes have led to changes and to inform the public about the implementation of those changes. 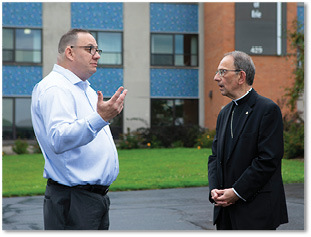 Father Hallford said a realistic understanding of the humanity of the church is also needed. “This is at the heart of clericalism,” he said, adding that there is often a perception that bishops and priests through ordination are automatically holier. He said that could lead to clergy members becoming less capable of living out their own calling. Father Hallford said people must understand their own weakness so they can build structures of accountability. Referring to Pope Francis’ letter of Aug. 20 where he said no effort must be spared to prevent the possibility of future cover-ups, Father Hallford said the pontiff is acknowledging zero tolerance for perpetrators but also demanding accountability for cover-ups, not only for the protection of children but also for vulnerable adults. He said the church must also be transparent by letting people know what procedures are in place and how has a diocese been faithful to those procedures. “With the Baton Rouge diocese, and this is something that makes me feel happy to be a part of this diocese, there is a real effort among our leadership (with an independent review board) to look at allegations of priest misconduct,” Father Hallford said, adding the policies in place provide for accountability and transparency. Dow admitted to brokenness in the church but said the church will always be holy because Jesus is holy. She said the church is one, holy, catholic and apostolic. She encouraged Catholics to stay firm in their faith and to spread the good news by proclaiming the message Jesus is Lord and savior. Dow added that includes praying, including praying for priests, attending Mass and participating in the sacraments, especially the Eucharist. “We can’t turn our eyes away from God and not do what he is telling us to do and do what the world is telling us to do,” she said. “What the world is promising is not life giving. It’s a temporary fix.